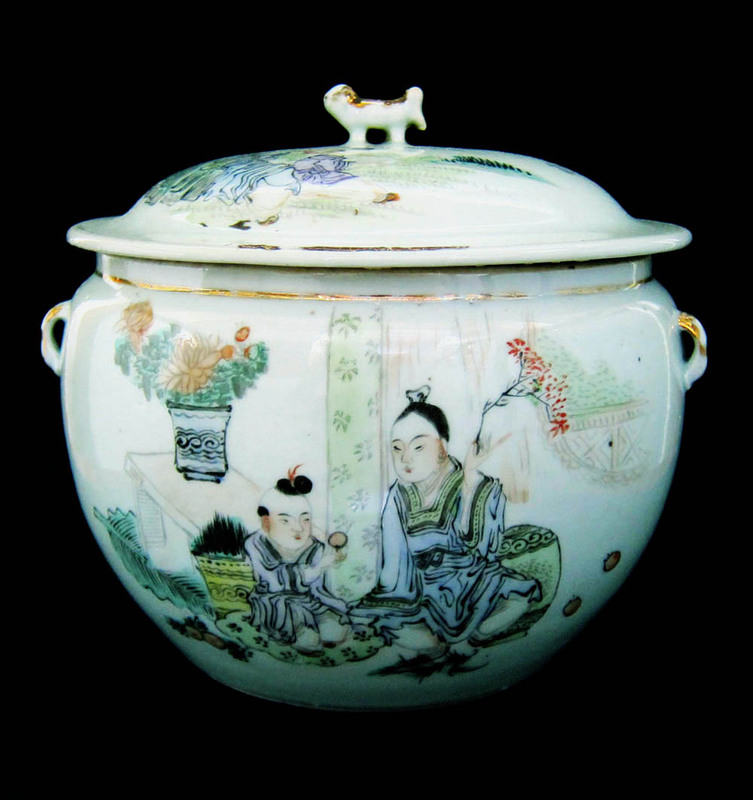 The late Qing period witnessed the steady decline in the Chinese porcelain industry. 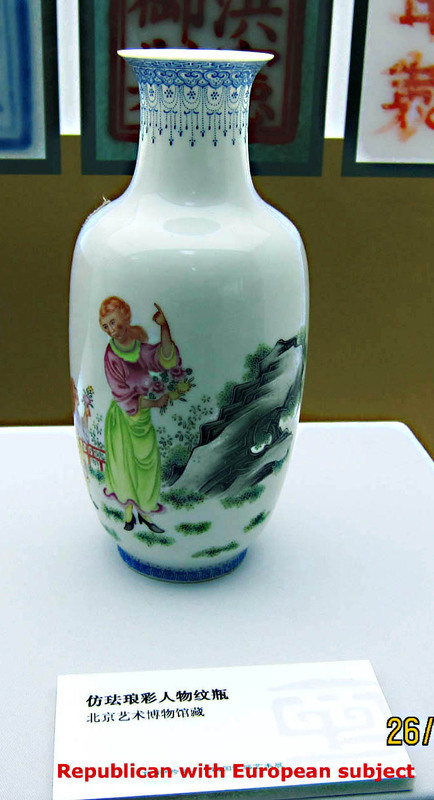 The Jingdezhen porcelain industry made an anaemic recovery after the turmoil caused by the Taiping rebellion. 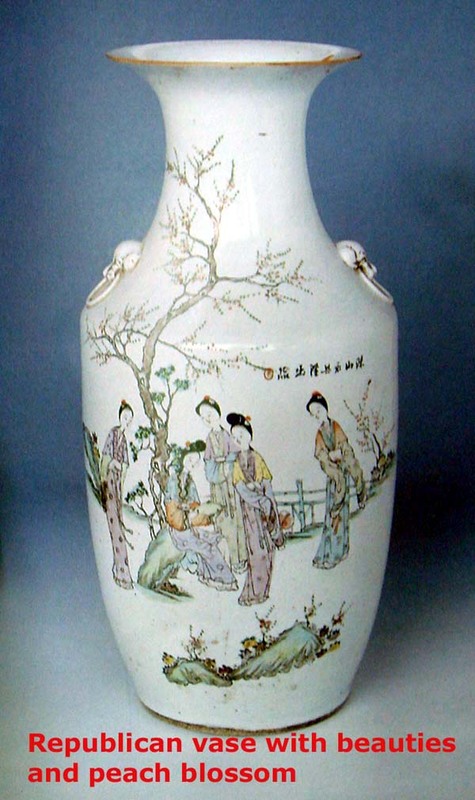 Coupled with competition from cheap Japanese porcelains in the domestic market and European porcelains and pottery wares in the export market, the Chinese porcelain industry faced an increasingly bleak prospect. Some enlightened individuals recognised the urgent need for restructuring to revitalise the porcelain industry. Among the pioneers was a Qing official Xiong Xiling （熊希龄） of Hunan province. He set up the Hunan Porcelain School in A.D 1906 which taught courses on use of the potter's wheel, making models and moulds and porcelain painting. He recruited noted Jingdezhen and Japanese craftsmen to teach the skills. The craftsmen also developed the underglaze polychrome decorations. 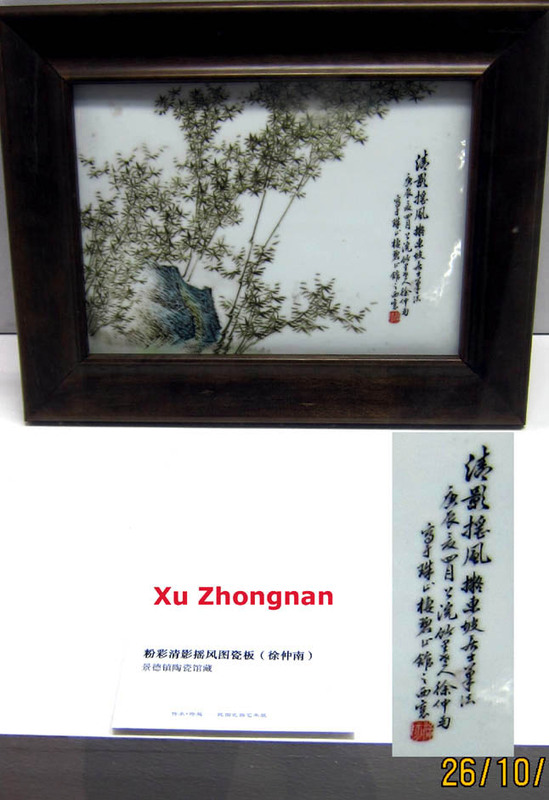 Later Xiong was able to raise the required funds from private and government sources to set up the Hunan Porcelain Company in Liling (醴陵). It was famous for the production of Liling underglaze polychrome decorations which won a number of prizes in the Panama and Italy Exposition. The factory was destroyed during the war in A.D 1918 but was rebuilt. However production quality and quantity deteriorated and ceased production sometime after A.D 1930. 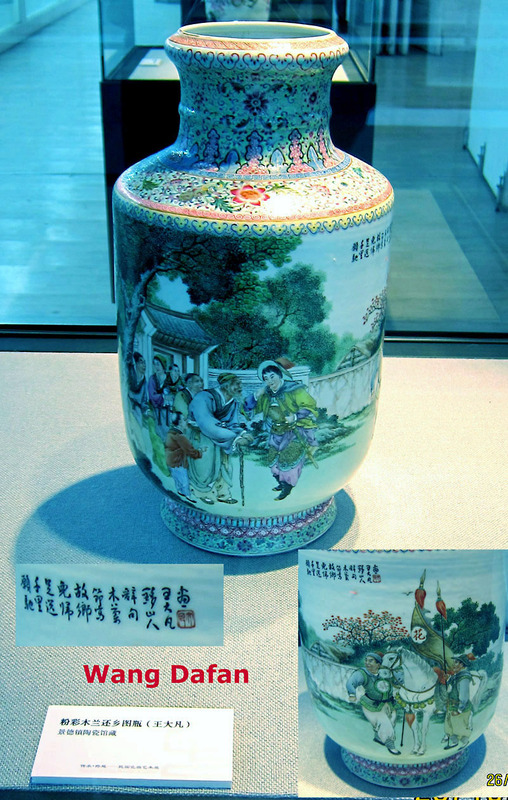 The underglaze polychrome know-how was temporarily lost but during the 1950s, the old Hunan craftsmen helped to re-introduce underglaze polychrome techniques. Since then, many more colours were introduced and Liling underglaze polychrome continues to attract many admirers till this day. 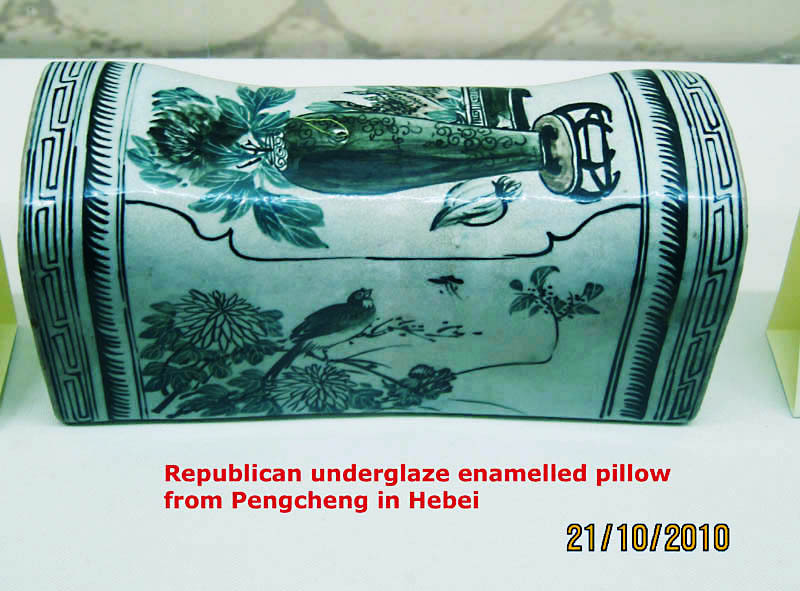 Pengcheng in Hebei also produced underglazed enameled wares during the Republican period. The vessel is covered with slip, decorated with enamels and then glazed. Due to the use of a slip, it has poorer adhesion and tends to flake more easily. Chaozhou Fengxi also emerged as an important porcelain production centre. Besides blue and white wares, it also introduced a distinctive type of in-glaze polychrome decorated ware. 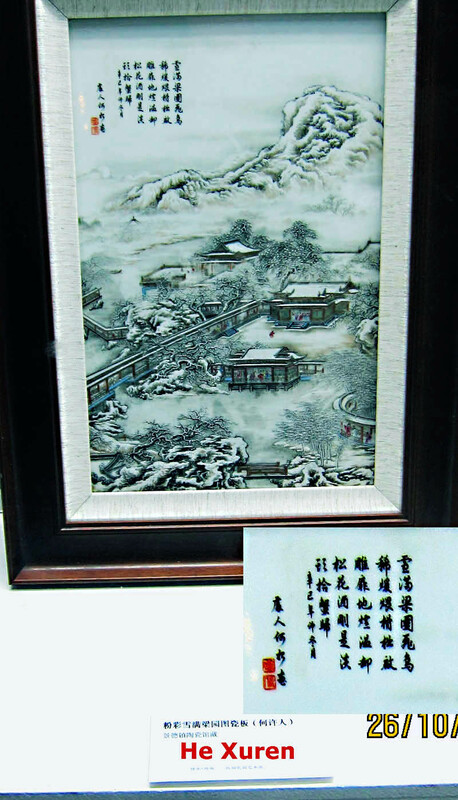 For more on Chaozhou Fengxi ware, please read this article. Another important company was the Jiangxi Porcelain Company which was formed in A.D 1910 with private and government capital. The company also set up a school to carry out research on mechanization of production, quality improvement and firing with coal as fuel. The products of the company were generally of good quality. Despite the cessation of government funds after the A.D 1911 revolution which overthrew the Qing Dynasty, it continued operation at least till A.D 1934. Products from the company carried the mark, "Jiangxi Ciye Gongsi "(江西瓷业公司). There were also many other porcelain companies set up in other provinces. Most of the porcelain companies were engaged in the production of utilitarian wares. 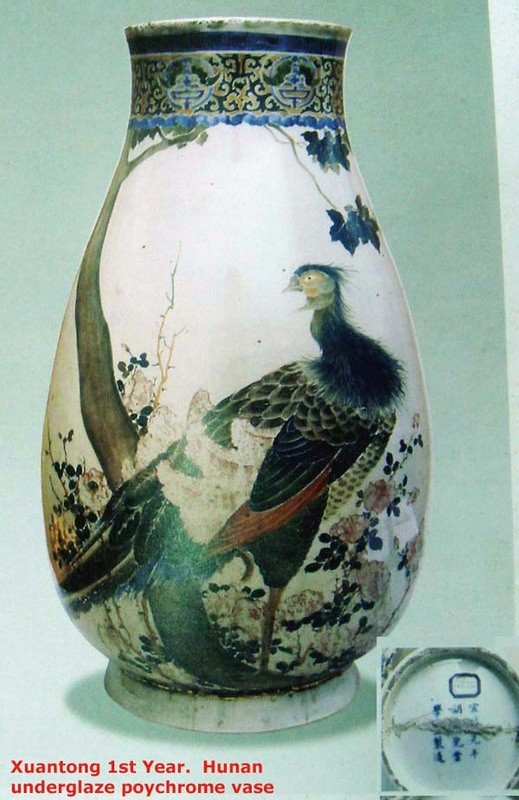 An important development during the Republican period was emergence of market for decorative art porcelains. 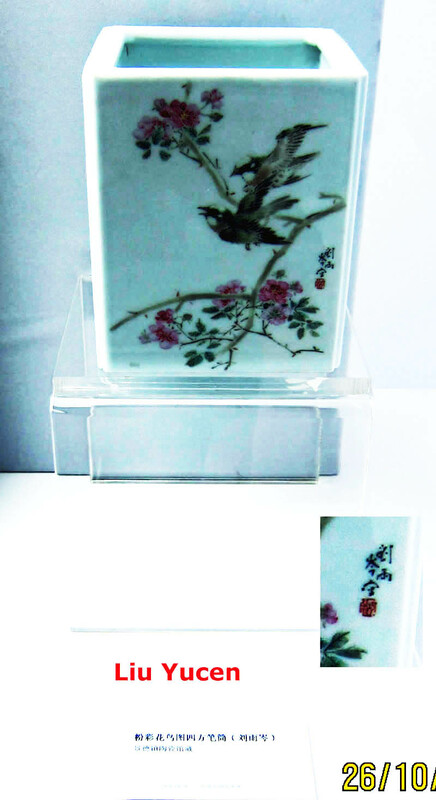 They were produced by private workshops in Jingdezhen. The artists personally composed and executed the works. 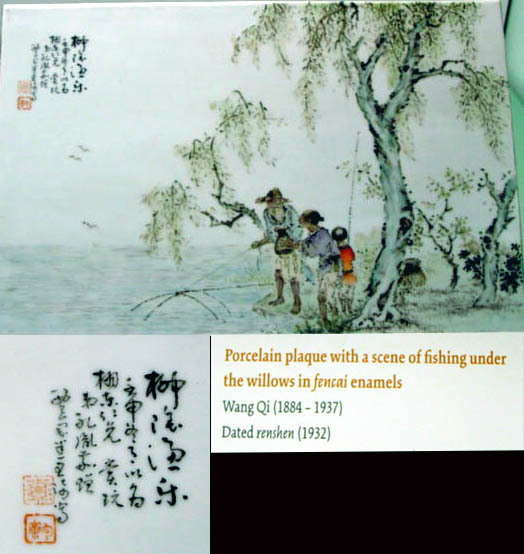 Their works were essentially a continuation of the literati style paintings on ceramics first popularised by the Qianjiang artists of the late Qing period. But now, the decorations were done in more glossy and brilliant fencai enamels. 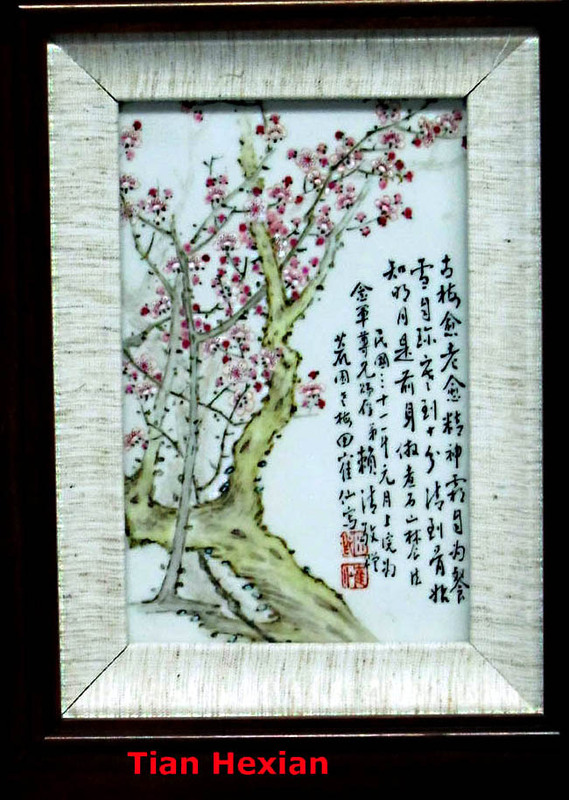 The artists' mastery of the fencai enamels were superb with ability to depict delicate fine shadings. The most famous pioneers of new fencai were Pan Taoyu (潘陶于)and Wang Xiaotang (汪晓棠). Pan was a all-rounder who was good in human figures, landscape and bird/flower. Wang was famous for his work on human figures. Both died young before the age of 40. Very few of their works survived. 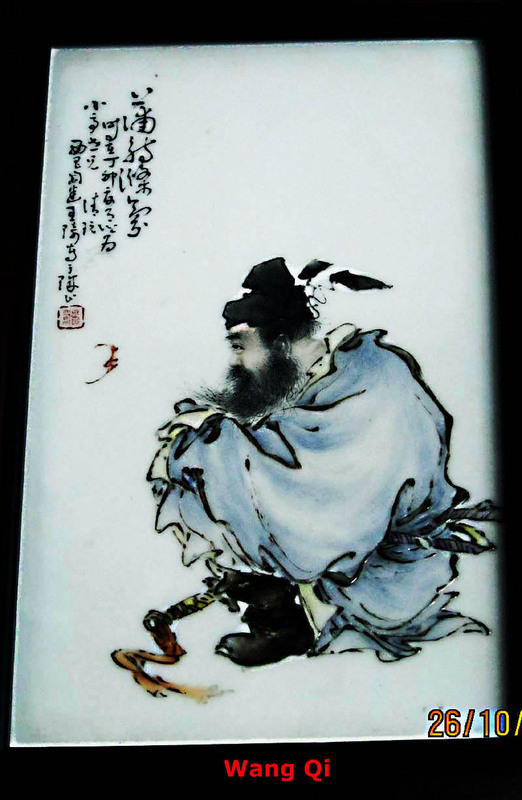 Wang Qi (王琦)- specialised in drawing of human figures. His earlier works was done more in the gong bi style , which is characterised by fine outline for the human figures. However, his style subsequently evolved into the more free and calligraphic style. Wang Dafan (王大凡) - also specialised in drawing of human figures. He adopted the qong bi style for his human figures. Some of the contemporaries of the Eight Friends of Zhushan, were equally good if not better. Among them are Wang Bu (王步) (famous for his blue and white), Wang Dacang (汪大沧)(famous for his landscape), Fang Yunfeng (方云峰)(famous for his human figures and cats) and Zhang Zhitang (张志汤) (famous for landscapes). 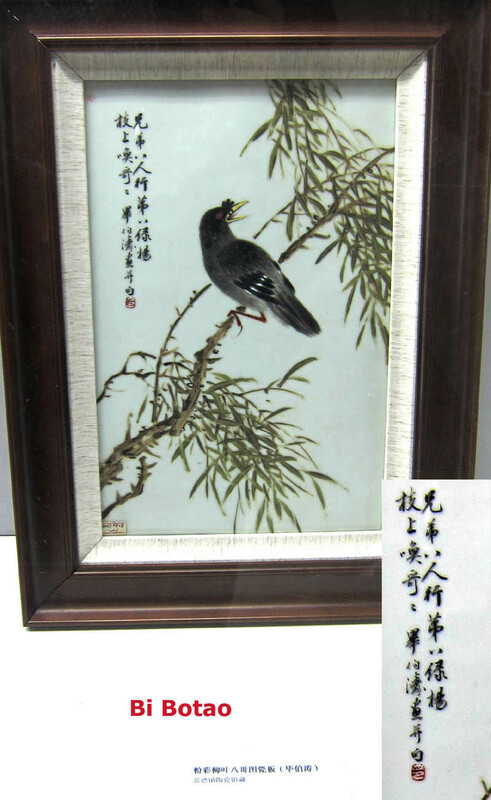 This literati style of fencai painting was very successful and highly appreciated. They continued to be produced till today. During the Republican period, majority of the overglaze enamelled wares were done by private workshops called hongdian (红店). 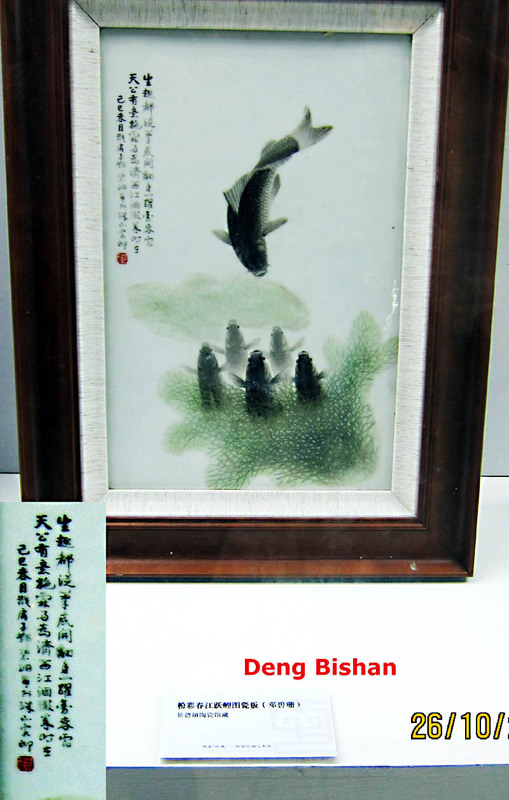 Majority of the productions were done using new imported enamels call shuicai (水彩）, literally meaning water colours. The enamels were imported from Europe and Japan. Visually the work done using shuicai has thin and even colour tone. 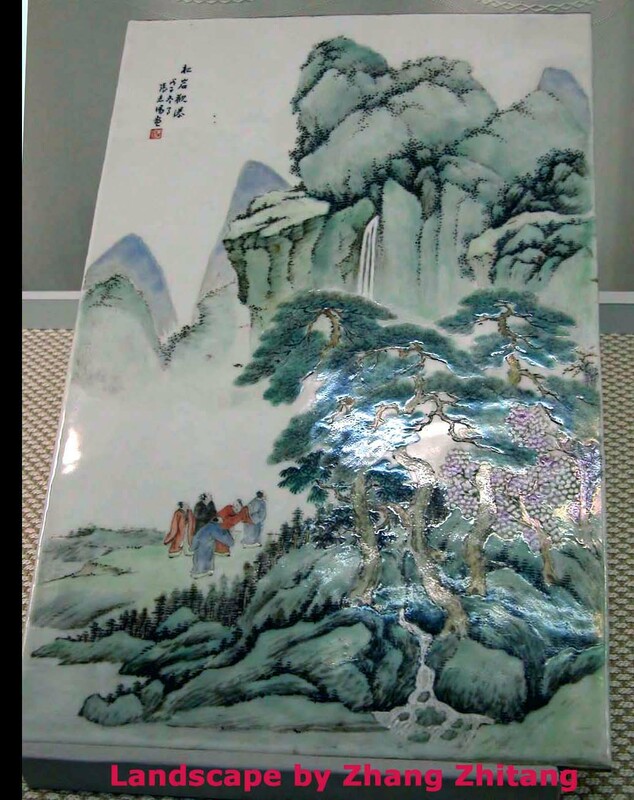 A type of landscape called qinglu shanshui (青綠山水) characterised by generous use of green and blue enamels was popular during the Republican period. 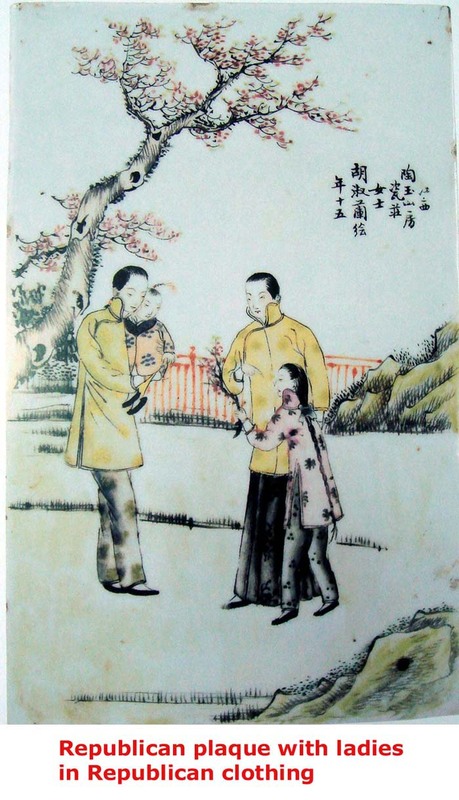 Other popular themes included human figures in Republican period clothing and decoration of beauties and peach blossoms. 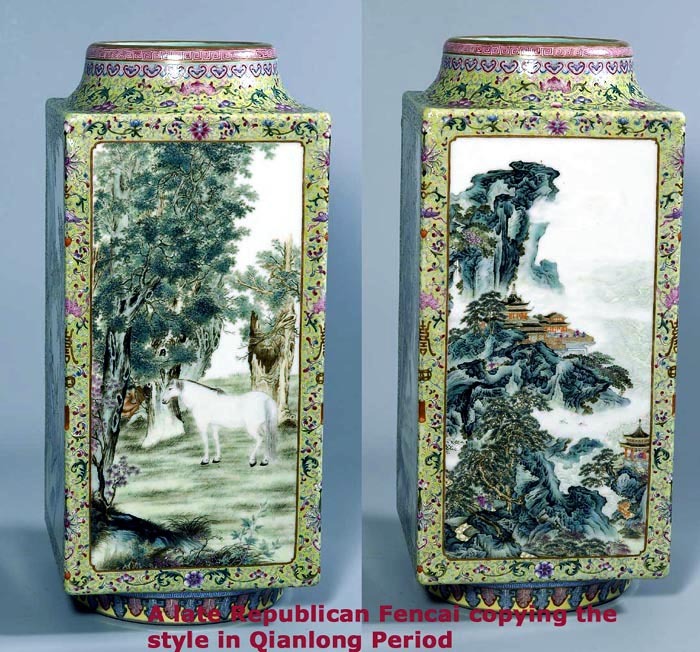 During the Republican period, there was also a vogue for imitation of Qing Imperial wares. The demise of the Qing dynasty resulted in the closure of the Imperial kiln. Many former craftsmen from the Imperial kiln were engaged to produce the copies. Especially popular were those overglaze polychrome wares that carried the Qianlong reign mark. Many were decorated in the falangcai style and they carried the Guyuexuan (古月轩) mark. There were also many with European subjects and with the Lang　Shining mark (郎世寧). 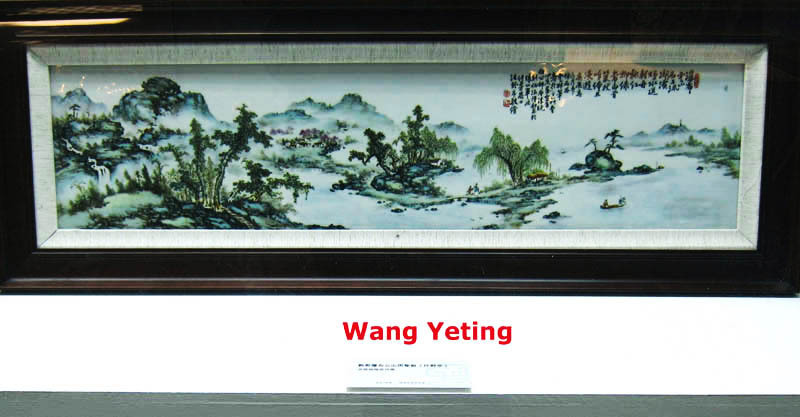 Some of the genuine falangcai pieces with European motifs made during the Qianlong period were said to be decorated by him. The imitations were highly demanded by the rich and high officials who were willing to pay exorbitant prices for them. The Republican president Yuan Shikai (袁世凯) had also ordered Guo Baochang (郭葆昌） to supervise the making of porcelains for his personal use. They were modeled after the Qing imperial wares. It is now generally believed that the genuine ones carried the Jurengtang　Zhi (居仁堂制) mark. 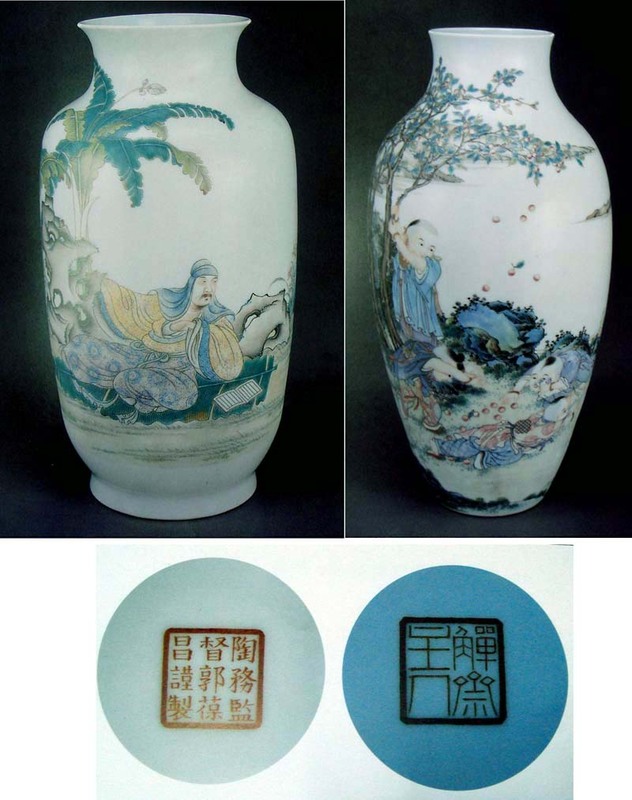 Those that carried the Taowu Jiandu Guo Baochang Jingzhi (陶务监督郭葆昌谨制） marks were also believed to be among the porcelains made for Yuan shikai (please see below left photo). Those with the Zhizhai zhuren mark (觯斋主人） were produced for Guo's personal use. Those that carried the reign mark of Hongxian (洪宪) are now generally accepted as subsequent Republican copies. Nevertheless, many of the Hongxian marked pieces were of very good quality. 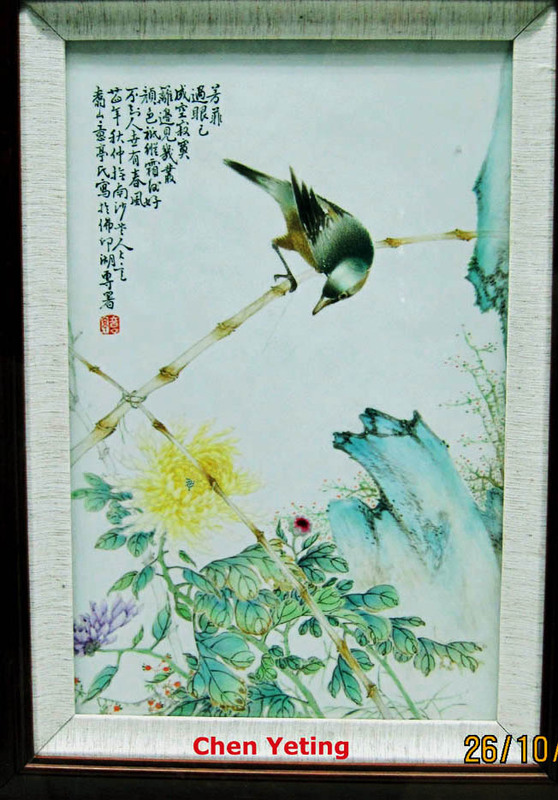 Famous artists such as Wang Xiaotang and Wang Dacang were known to have painted some of the pieces. 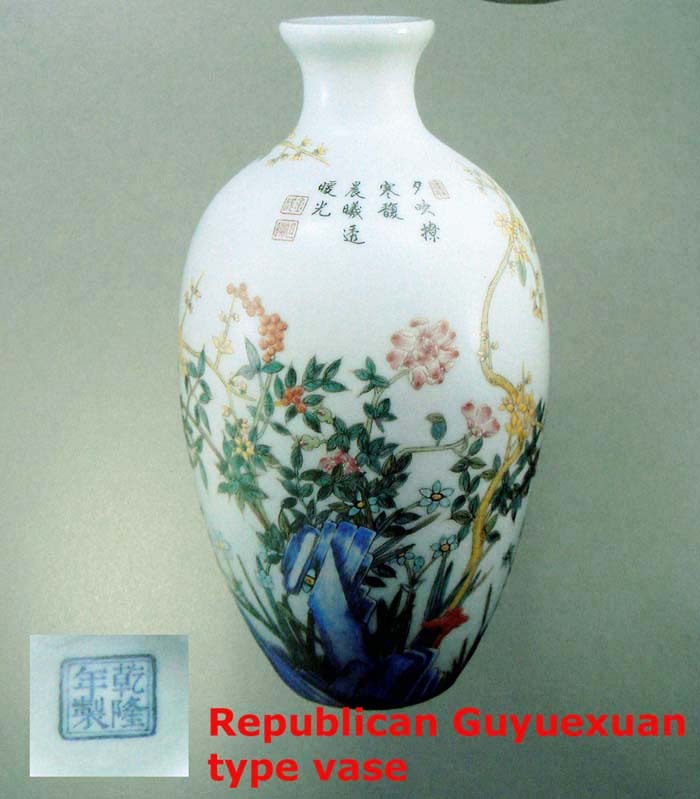 Indeed, the Republican period produced some of the best imitations of Qing imperial wares.